The don Quijote school in Madrid is situated in the heart of Spain’s capital city. 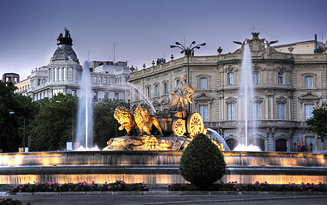 A mere 5 minutes away from the Plaza de España and what has been labeled as the Spanish Broadway, Gran Vía. The school itself occupies a recently renovated historic building, giving students excellent, modern facilities and an inspiring setting to learn the Spanish language. Oral and written tests are conducted on your first day at the language school so that you are placed in the correct class that corresponds to your Spanish ability. You will receive a certificate of completion at the end of your course. 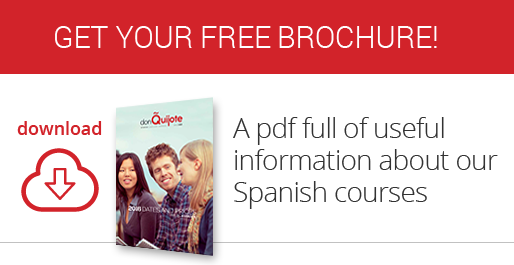 don Quijote is proud to provide over 27 years of Spanish teaching from certified instructors at 35 diferent schoolds, in 11 premium countries that extend across two continents. The don Quijote school in Madrid is located across the bottom three flours of a charming, historic Madrileño building. The school extends across 1,800 square meters and because of its recent refurbishment it boasts facilities of the highest quality. These include, 38 bright and spacious classrooms, a common area with comfortable seating where students can talk with friends and relax between classes, a modern computer lab that provides free and easy internet access to any one of the 20 computer stations as well as the ability to use the school’s free Wi-Fi network for those with their own devices. Madrid is an awe-inspiring city, with unlimited cultural opportunities for students to embrace when outside the classroom including fascinating museums, parks and art galleries that are ready to be explored. 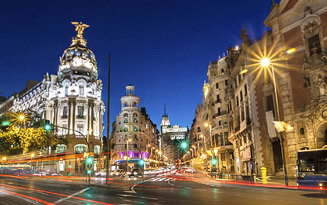 Madrid has a famous and thriving social scene and is just bursting with tapas bars, restaurants and nightclubs that provide activities to people of all different ages and interests to enjoy all through the night. 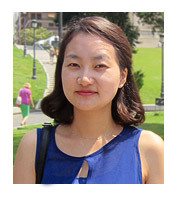 don Quijote provide more than 25 distinct programs to students from around the world. Students can study for as short a period as a week up to as long as they want, and start days are very flexible. Regardless of your specific goals, interests or age, we have the ideal course to cater for your needs, and if we do not, we can devise one for you. At don Quijote we are fully aware that your time spent studying abroad consists of far more than just classes and school, the people you will meet and interact with on a daily basis form an incredibly important part of the overall experience. From your first day in Madrid you will be in direct, personal contact with the teaching faculty who will offer you a warm welcome alongside their years of advice and experience, which will help you get accustomed to your new surroundings and immediately make you feel at home. My name is Pedro and I am the school director at don Quijote Madrid. My job is to try and make your experience at our school an unforgettable one. 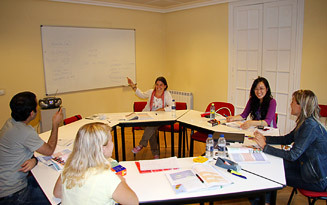 In Madrid you can enjoy a team of teachers who are completely committed to the task of teaching you Spanish. Professional care and facilities as well as the perfect learning environment will make your relationship with the Spanish language easier than you can imagine. We are waiting for you in Madrid with open arms. Helo! 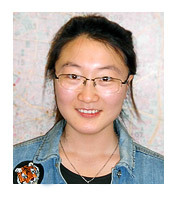 I am Esther, and I have been a teacher at don Quijote Madrid for more than 10 years. Throughout this time I have had the chance to participate in various don Quijote projects that have been very enriching experiences, both professionally and personally. I love working with ELE and being surrounded by a team of professional and fun teachers, who are like friends. See you in Madrid! 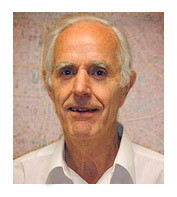 My name is Maris and I have been working at don Quijote and enjoying teaching Spanish for many years. Why study Spanish in Madrid? Because it is the capital of Spain, that offers a wide range of different activities. Theatre, cinema, museums, exhibitions, opera, concerts, music and night-life that is famous all over the world. The people are friendly and hospitable, and if you come, I am sure that you will have an amazing experience. I am waiting for you here. My name is Sergio Escalante and I have worked as a teacher at don Quijote since 2007. What I like most about my job is working together with students so that they can learn to communicate in Spanish, plus it allows me to meet people from such different cultures. 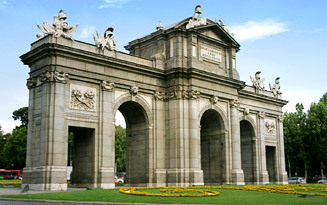 Madrid is a welcoming city, where visitors quickly feel at home, and I am sure that you will thoroughly enjoy it. don Quijote students are people from all over the world who spend a very important part of their lives with us. We have dedicated this portion of our website to say thanks to all of them and to let you read about their experiences. In don Quijote Madrid all the teachers are conscientious, dedicated professionals, which made our course a lot of fun. I started learning Spanish in Madrid and for me it has been a marvelous experience. 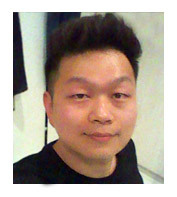 I was really satisfied with the excellent teachers and good teaching quality. Due to my classes at don Quijote, I learned a lot of Spanish in a short period of time. I would like to recommend enrolling in don Quijote. The program at don Quijote is extraordinary and is perfectly customized to each student. 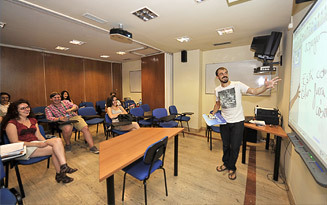 Students can enjoy classes with excellent teachers and students from various cultures and countries. You will have a great time studying at dQ, not only enjoying the life in Madrid but also improving your Spanish. Comfortable and secure accommodation is of essential importance during your stay. don Quijote recognizes this ensures the quality of all of our host families, residences and private apartments. We are fully aware that simple problems with accommodation can ruin aspects of your stay, and divert your attention from your main aim: learning Spanish. We strive to make sure you feel secure, comfortable and at home throughout your stay. Home stays provide a unique insight into life in a Spanish family. All of our families have been carefully chosen, with the majority of them having worked with don Quijote since our foundation. They appreciate the importance of being good hosts and making the students feel welcomed and at home from the start of their stay. Students will be given the keys to the home-stay giving them the freedom of coming and going as they please. There are three different meal arrangements for you to chose from: Full board (three meals per day) half board (breakfast + either lunch or dinner) or the breakfast only option. Student residences typically occupy fantastic locations across the city. There are distinct types of student residences depending on availability and personal preferences. The residences provide triple, shared or individual rooms alongside full or half board meal regimes. A university hall of residence provides students with the opportunity of living with native Spaniards who are also studying and living in the same city as the students. . They are usually very big and run by the university. They function in a similar way to the shared student apartments but with a major difference being that food is provided, and students are not responsible for making their own. These residences are available for students that come from across the globe, not necessarily those who are clients of don Quijote. Student residences are located in the city center and offer individual, shared or triple rooms with half or full board meal options. There are different types of student’s residences depending on preferences and availability. 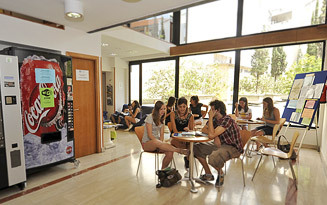 A university residence hall offers students the possibility to live with Spaniards who are also living and studying in the city as students. They are usually university run and are large in size. Student residences are smaller residences which may be very similar to living in large shared apartments with the main difference being that students will not be responsible for preparing their own food. These residences are open to students from all over the world, not necessarily studying at don Quiojte. We appreciate that some of our students wish to enjoy the highest possible level of standard of living and security during their study abroad experience in Spain. To this end, we provide the option of renting a whole apartment throughout your stay. We offer two different types of private apartments: standard or premium. The apartments vary in size but are generally situated in fantastic locations across the city. A standard private apartment is a simple student apartment, with all the important furnishings and amenities. A premium apartment provides amenities and furnishings of a greater quality to those on offer in the standard apartments. The private premium apartments also include a weekly cleaning service as well as Internet/WiFi access. Check out all the activities and events in the school. You would find everything updated by the teachers themselves. * Remember, you have just sent a pre-registration notice for this activity. You still must confirm your registration in person at the school.